Donate 65$ and get a the NEW Temple Coin. 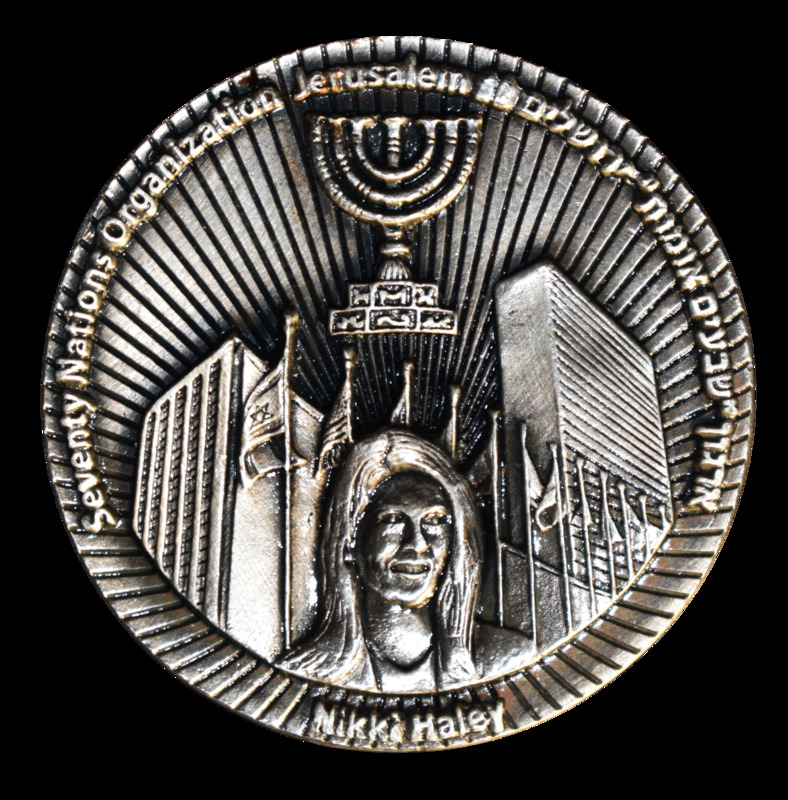 This special coin was minted in honor of Ms. Nikki Hailey , the ex-US Ambassador to the United Nations in recognition of her consistent and valuable leadership in favor of the state of Israel and its People and for World Peace. The Sanhedrin Court has established the “70 Nations” organization as a suitable replacement for the current United Nations whose actions incessantly attack the legitimacy of the Jewish People in Israel and the State of Israel. The Sanhedrin calls upon Ms. Hailey to serve as the first honorary President of the “70 Nations” organization. The diameter of the coin is 50 m"m made from pewter metal and plated with 10 grams of silver.